The Endellion Quartet opened this concert with a spirited account of Haydn’s G major Quartet op.76 no.1. The first movement was ebullient, and the Adagio sostenuto second movement was similarly full of life, pulsing and forward-moving. The minuet was sheer fun, the leader Andrew Watkinson enjoyed himself in the dancing trio, and Rossini seemed to peep out from the finale. In Britten’s First String Quartet there was the same sense of propulsion and urgency. The first movement featured fine playing from cellist David Waterman. After some particularly vehement playing in the Allegretto con slancio second movement, violist Garfiled Jackson shone in the gentle Andante calmo. The finale was a nice mix of energy, lightness, effervescence and power. It all amounted to a terrific performance. One doubts if [one] could have imagined a finer performance than that given by the Endellion Quartet, its playing of this centrifugal masterpiece of European art was incredibly fine. Tempos were absolutely right… so too tuning, phrasing and that wondrous element of genuine chamber-music playing – the authentic ‘give-and-take’ of like-minded players, each secure in the knowledge of their colleagues’ artistry – was a joy. … it was a privilege to hear this performance. There’s always a feeling when listening to the Endellion Quartet that you’re listening to the Urtext method of quartet playing. Maybe 35 years of playing together has brought to them as a group a uniformity of thought and instinct that allows them to play as a single entity; or maybe their unfussy, intellectual approach is particularly compatible with a genre that is, if done skilfully, a concentration of all the musical ideas of the composer. Either way (or, more likely, both ways), the Endellion’s playing is nearly always beyond reproach, and this contrasting army of Haydn’s quartet styles and personalities is no exception. They bring our with very simple clarity all of Haydn’s humour, his partiality to gypsy dances, his ability to write melodies that are deeply affecting in their simplicity, and the mercuriality of his personality (particularly through his occasional unexpected key-changes). All this is imparted through an easy congeniality that plainly belies a minuteness in their study of the music. The beautifully balanced arguments of this optimistic disc are highly recommended. In this instalment of the Endellion Quartet’s New York complete Beethoven cycle, the players demonstrated a thoughtful approach to the music that was always interesting and never predictable or trite. The Quartet op. 18 no. 5 demonstrated energy and restraint. Its variation movement was a true delight – humorous, conversational, and both appropriately boisterous and quietly delicate. Beethoven’s final quartet, op. 135, was performed in the middle of the programme after an elegant spoken introduction by first violinist Andrew Watkinson from the stage. The trust and risk-taking that come from years of playing together were evident in the Endellion’s performance. The Allegretto had just the right balance of optimism and dark humour and the Vivace was filled with energy, discipline and fun. The virtuosic first violin had flair and prevision without feeling laboured. The quartet’s Lento assai was serious, but also highly tender and personal, and the inner voices’ supporting lines were emotive and generous. The haunting start to the final movement was anguished and convincing. The Endellion is a quartet of the first rank: precision, clarity of articulation, and beauty of sound characterize both the individual playing and the stimulating interplay of the four team-mates. From the opening Haydn Op 76 no 1 I will remember especially the Adagio perfectly sustained from the first note to the last and the exceptional brilliance of the first violin separated from his colleagues in the Trio of the Menuet. Excellent. And also courageous because they revealed new unsuspected aspects of Haydn, Britten and Beethoven whom we had thought we already knew. 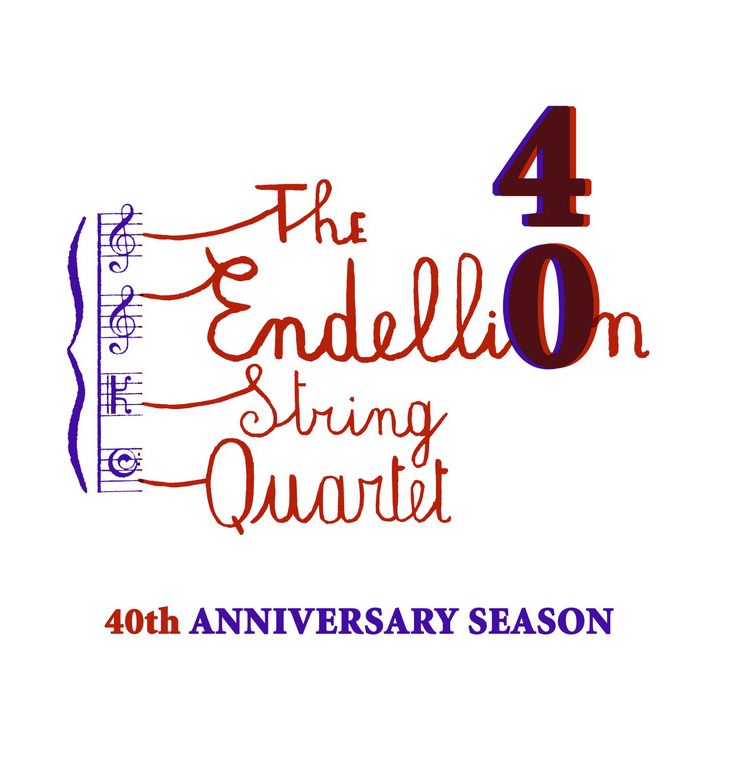 The Endellion String Quartet is celebrating its 30th birthday. Cambridge University, where the Quartet has long had a residency, needs even more candles on the cake this year – 800. Both milestones are worth blasts of trumpets, though the sounds of the Endellions navigating Beethoven on Wednesday were reward enough for me. They were playing the early Opus 18 No 6, and playing it with a degree of finesse possible only in a group that has operated for 30 years with just one change of personnel. Intonation, balance, rhythmic precision, subtleties of dynamics and colour: all were unimpeachable. But the special glory lay in the Endellions’ light conversational tone. With that in place, from the very first bar, every rhythmic nicety took on a lilt and sparkle. Graceful sighs, filigree dancing and jumping-jack rhythms dominated the middle movements. In the finale, melancholy weighed in on cue, but nothing could shake the music’s smile. A lovely performance. They shone too in the mirrors and smoke of Thomas Adès’s Arcadiana – an Endellion commission from 1994, custom-built for their brilliance as quick-change magicians and masters of perfect pitch. The Endellion Quartet cover the whole classic range from Haydn to Bartók, with liberal representation of recent and new works, with equal stylishness, energy, accomplishment: no eccentricities – a mainstream/bread-of-life presentation, obtruding nothing between the music and its realisation. In this superb cycle, the Endellion Quartet is in its element, the players inspiring each other to express fully the expansive lyricism and poetry to be found in these scores that are far from easy to interpret. The musicians balance a powerful sense of spontaneity (it seems more like a live recording than a studio recording) with a determination to offer truthful and responsible Beethoven interpretations, albeit extraordinarily expressive. They find a way of making music which perfectly responds to the demands of the music. Their choice of tempi, and the appropriate sonorities at each moment, together with their great flexibility which allows them either to blend or to sing out each voice distinctly, makes of these performances a paradigmatic model. They distil delicacy, inner vitality, and emotional drama that strikes the listener as coherent and vivid. The four musicians are made from the same recipe: talent, courage and instrumental naturalness, clarity of ideas and concepts and energy intelligently channelled by the intimate needs of the music. Excellent. The exquisite Endellion String Quartet offered a rich and fiery rendition of Brahms’s String Quintet in G major Op. 111 with violist Lawrence Dutton. …Enter the Endellion String Quartet, on volume three of their complete cycle of Beethoven’s string music, whose command of his challenges now seems unassailable. Add to this the fact that the Quartet is playing off Jonathan Del Mar’s new edition of Beethoven scores, and this fine CD sits on the spectrum between state-of-the-art and definitive. Del Mar’s job is to correct mistakes and restore changes to the printed music that have crept in over the passage of time. A restored cello phrase in the Grosse Fugue is so outrageously taxing that the Dionysian flow of the music temporarily buckles to accommodate the leaps; the Endellion’s and Del Mar’s scholarship teleports the listener back to as pure a Beethoven experience as can now exist. Op 130 itself begins in visceral, gutsy fashion as the Endellion’s articulate Beethoven’s structural disjoints like the granite corners of a Henry Moore. Notably, the lyricism of the Andante movement is highly affecting, emerging refreshed and thoughtfully re-imagined. This British ensemble play with a really extraordinary communication and enthusiasm and obtained a heartfelt ovation. The 3 quartets in the programme have great intensity, very well maintained by the performers. Showing a wealth of experience, they delivered Haydn Op 76 No 1 with remarkable precision, perfectly gauging their diverse contributions and infusing the performance with many moments of exemplary subtleties of colour, and with clarity and independence of voices. The finale was masterly. …The response from the public after the Bartok was really enthusiastic, like the final ovation after the Grosse Fuge that Beethoven wrote to close his B flat Quartet. They brought a big sound, plenty of definition and tonal depth — but that is not the only way they play. Responding to Beethoven’s mercurial genius, they supplied the quick changes from fiery drama to lyricism that occur in a matter of seconds. a wonderful, stimulating and totally satisfying Cycle…..The Endellion’s wide range of colours searched and delved so deeply below the printed page that you emerged from the concert feeling emotionally drained. In the past two decades only one British ensemble – the Endellion Quartet – has consistently met international standards. This superb classical quartet is playing as well as any in the world at present and its interpretations have a rare intellectual penetration. …The Endellion String Quartet from London, evocatively led by the sweet, transparent and perfect playing of its sensational leader Andrew Watkinson, made vivid every facet of a life-embracing interpretation full of contrasts….. If the overwhelmingly powerful and astonishingly modern-sounding Grosse Fuge Op 133 simply blew away everything in Op 130, that is entirely to the credit of the Endellions, who demonstrated equally their own musical and physical stamina, and the extraordinary intellectual power that places Beethoven among the immortals. Such an incontrovertible sense of style and carefully researched scholarship into the ethos of each composer makes the Endellions what they are, a truly great international quartet. The Endellion is arguably the finest quartet in Britain, playing with poise, true intonation, excellent balance and a beautiful tone. In music of the Viennese Classical composers it has few challengers but it has won praise in a wide repertory, its Beethoven and Bartók cycles being especially admired. Their playing was quietly emphatic, nobly unaffected and wonderfully sustained. …the Endellion Quartet…judged to perfection the fragile thread of understated tragedy in Haydn’s [Seven Last Words]. …riveting, with lively discussion in the opening movement of Op.50 No.6 ‘The Frog’, and repartee in the croaking dialogue of the last movement. But it was the Endellions… who approximated my ideal Haydn-playing; warm-toned, fine-grained, protoromantic, continuously inventive. Their reading of the great G major quartet, Op.76 No.1, was the best single performance I heard during this memorable weekend. …a finale so vibrant and exciting as to make my hair stand on end… thanks to the Endellion’s boldness and the quality of their musical communication. The Endellion Quartet’s concert contained some of the most virtuosic playing of the weekend – not just the technical bravura of high-speed semiquavers but in their blended sound, the simplicity of gravity of the opening hymn of the Adagio of the G major Quartet op.76, the razor-sharp ensemble in the presto Minuet… and the sheer emotional commitment and range of colour and dynamics that infused each interpretation. Their playing is warm-hearted, fresh and vital, and this marvellous music…is vividly projected. …exemplary performances, the Schoenberg headily ecstatic, the Mozart effortless urbane, witty and impassioned. … the only bankable British ensemble of international stature… four musicians of elevated ideals and great accomplishment. Adès… joined the Endellion Quartet in a lyrical account of Schubert’s Trout Quintet. The alert, true-toned Endellion played Britten’s structurally adventurous Second Quartet with supple and subtle art. The performances are less harsh, more polished than either the Juilliard or Emerson. The wistful, simple rendering of the Fourth’s central Lento is as good as an unembarrassed embrace. The opening solo that begins Bartok’s last quartet is perfectly inflected-the performance emphasizes a personal tragedy. The Endellion’s excellences include an overall sound that is substantial but not over-produced; freshness and subtlety in the attack and phrasing; projection; and personality. …outstandingly assured and confident – words which aptly describe the the Endellion’s inspirational realization of this searching score. The balance and understanding that the Endellion brought to both pieces was remarkable; no less so was their sense of spontaneous enjoyment, reflected as much in their faces as in the lovely sounds they produced. The chemistry has worked…the performance was as intelligently prepared and as excitingly presented as one could wish for… The Endellion’s refinement and verve can be thrilling. And what a treat to see a quartet actually smiling at one another. The disc is absolutely superb and makes marvellous listening…their interpretation is full of virtuosity and high spirits…the ensemble of the British artists is completely harmonious – simply phenomenal. Rare is the occasion when one can safely say that evey one of the performances in a collection is individually the finest on record, but it is true in this instance…. Neither the Zorian set not the Amadeus, reach the combination of heart, mind and technical excellence achieved here…the performances are the finest I have ever heard of the individual string quartet works. Now seven years old, the Endellion Quartet go from strength to strength. Always outstandingly refined in their playing, the group have now added the bite of intensity to the music they play. The Endellion Quartet have only had six years to forge a tone, a style and a unity all quite exemplary. It is for good reason that these four young musicians are at present storming the chamber music world, combining impeccable technique with a penetrating feeling for style. As an ensemble they are first class, a truly integrated unit. Their intonation, balance, sense of timing and over-all cohesion are excellent. This debut could be the most exciting since the amazing Guarneri Quartet first burst upon the chamber music scene. They have both large measures of virtuosity and mature musicianship along with a big, dark, richly blended sonority. Four young English musicians came to Salzburg to perform, sat down smiling at their desks, and began to play Mozart as if they had been doing this all their lives…. The public was completely electrified. They have brought a conversational exchange to a lively art yet never for a moment sacrificing their marked personal identities. The keenness of the characterisation realised with a bold range of dynamics and colour was still more captivating.